We are the Outdoor Kitchen professionals. Never let weather dampen your party plans. Enjoy your time in your own outdoor oasis. Our amazing designs are second to none. Serving Tampa Bay and southwest Florida. We install and service top brands. Relax it’s time to unwind. Escape in your own backyard. 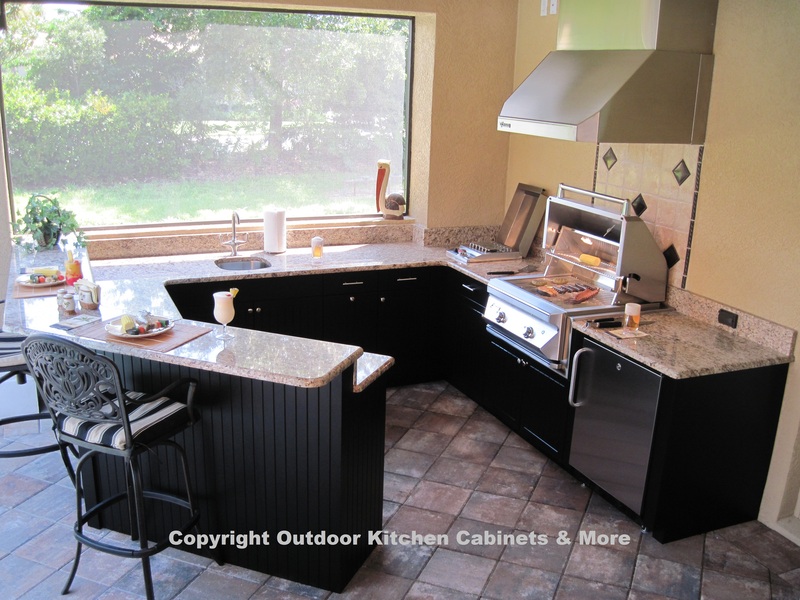 OUTDOOR KITCHEN CABINETS BUILT TO LAST A LIFETIME! 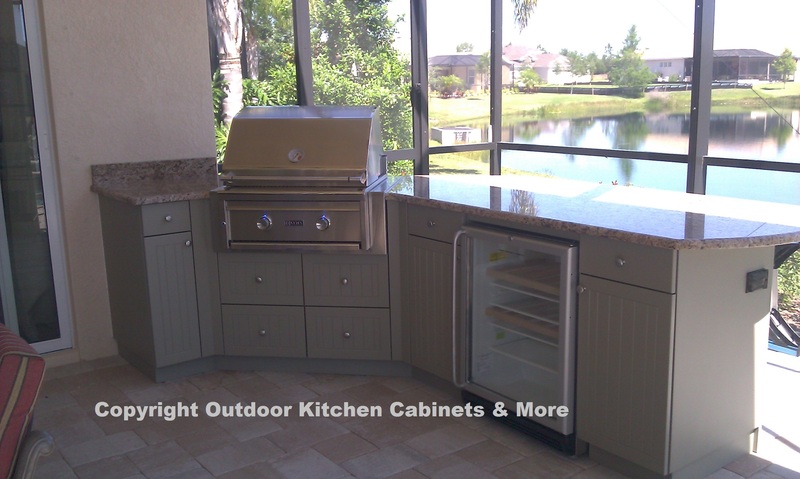 Leading outdoor kitchen experts in outdoor kitchen design & installation! 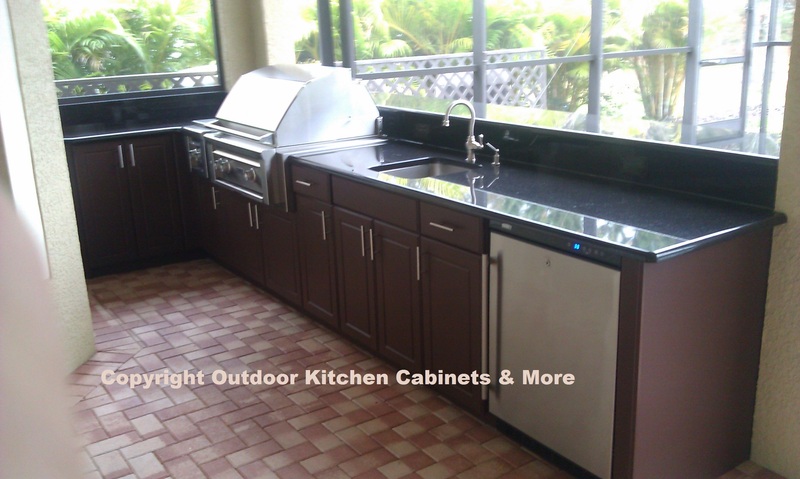 Over 1000+ outdoor kitchens designed & installed. Custom designed 3D renderings of your outdoor kitchen. Outdoor Kitchens & Appliances for everyone’s space and budget! Tired of the outdoor kitchens that lack storage room and do not function with the same standards of your indoor kitchen? 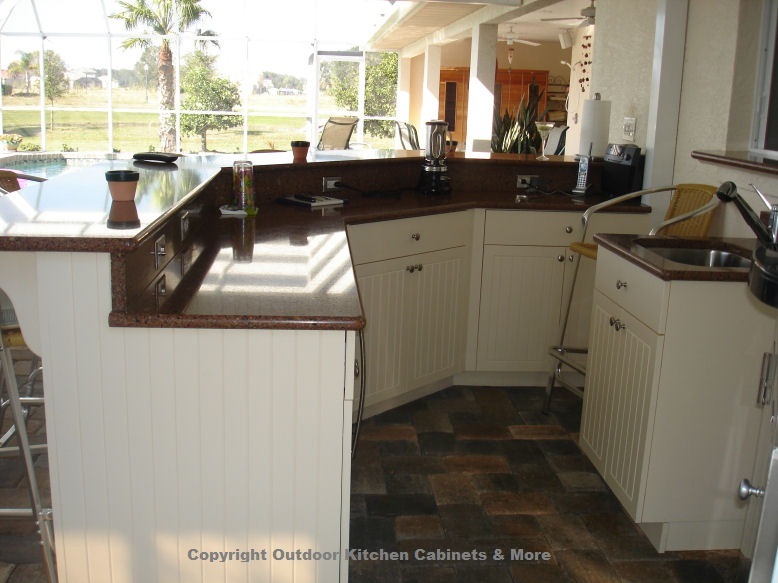 Or do you already have an outdoor kitchen made from wood cabinets that has deteriorated in the FL weather? Look no further! 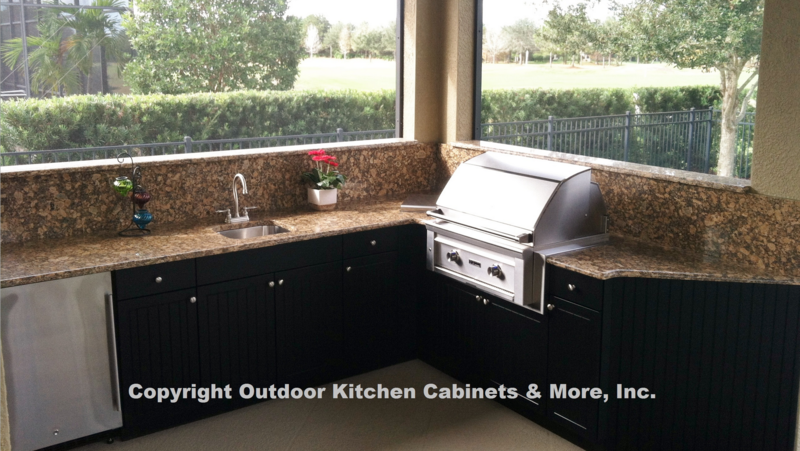 We have an ALL WEATHER RESISTANT outdoor kitchen cabinet built specifically for the outdoors, and it provides ALL of the conveniences of your indoor kitchen. Best of all, the cabinets are built to last a lifetime with a manufacturer’s lifetime warranty! Cabinets specifically designed to withstand ALL OUTDOOR ELEMENTS! Durable enough to power wash! Plus, they come in beautifully designed European style cabinets with many door faces and colors to choose from. Consider the convenience of having drawers, shelves, and endless storage space to store your dishes, utensils, glasses and snacks in. Eliminate the need to run in and out of the house for all your kitchen needs. All Weather Resistant Polymer cabinetry is the NEW WAVE OF OUTDOOR KITCHENS! Durable, weather resistant, and beautifully designed. 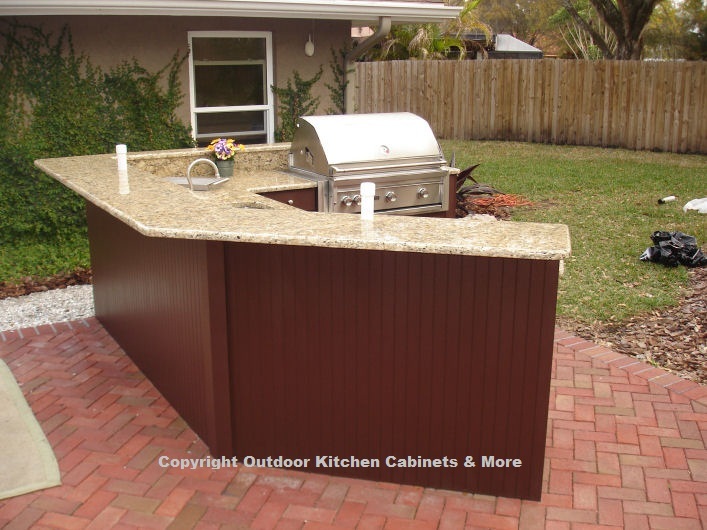 Designing custom outdoor kitchens for your space and budget is our specialty. We are licensed professionals that provide 3D renderings of your project. 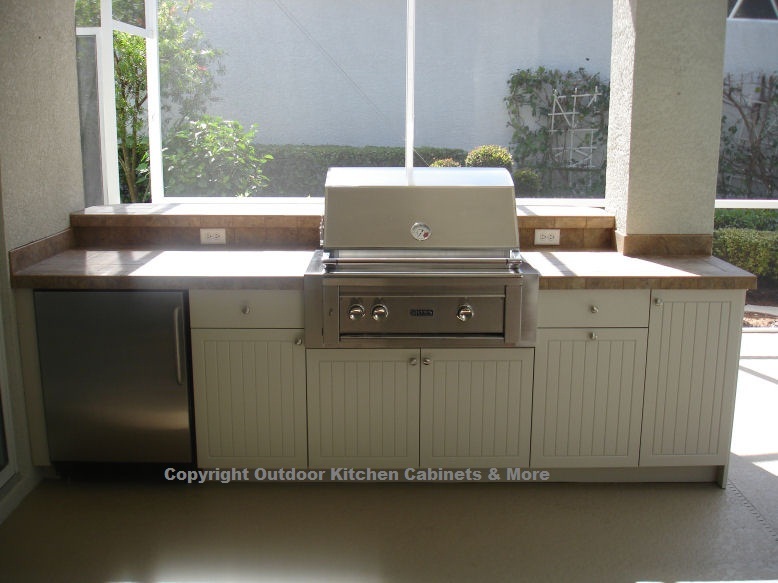 We offer a growing selection of the best quality Outdoor Kitchen appliances available. From grills to ice makers, we have everything you need to enhance your outdoor entertaining space and have a good time. 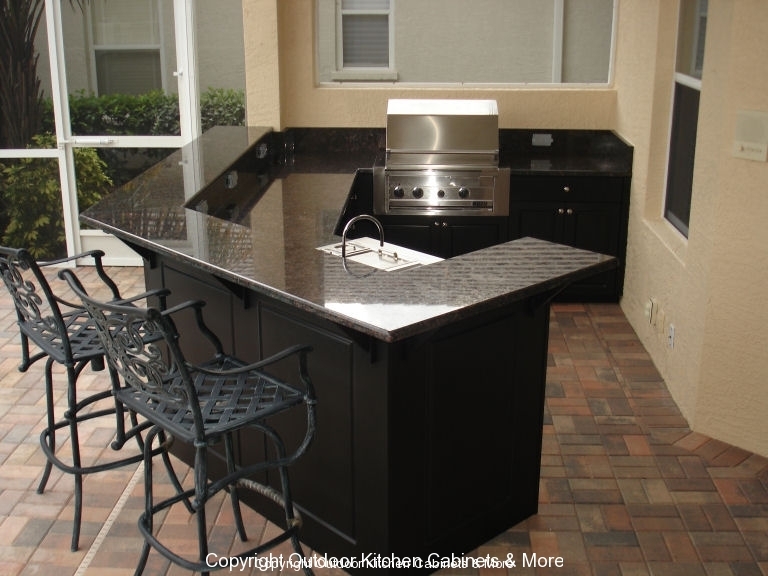 Our outdoor kitchen design center is conveniently located in Lakewood Ranch, Florida right off of I-75. 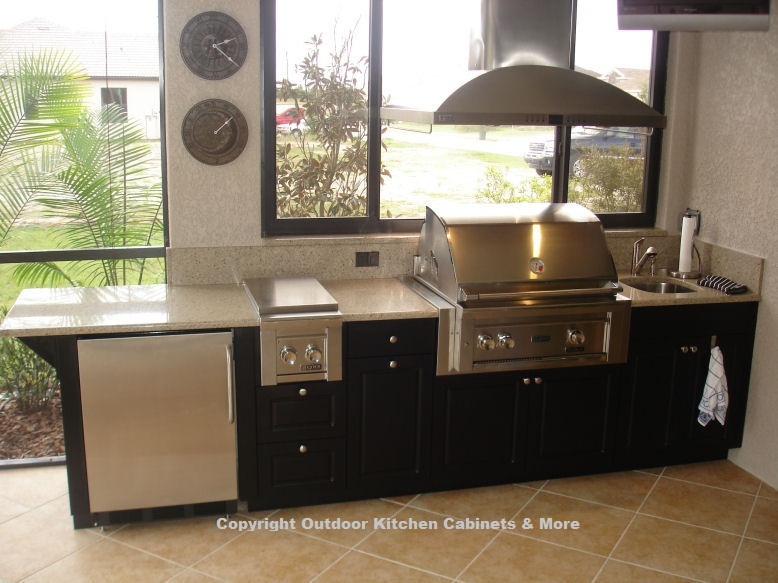 We have several displays of outdoor kitchens and appliances. 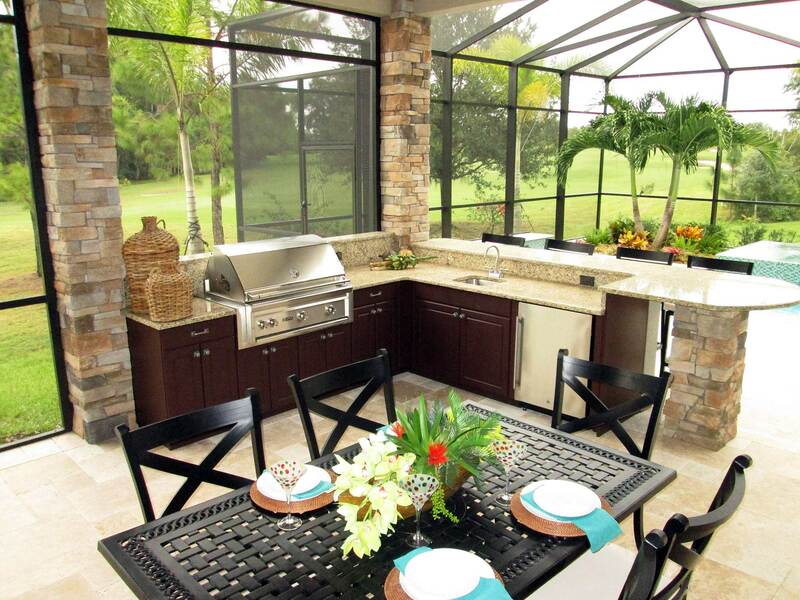 What is your dream Outdoor Kitchen idea? 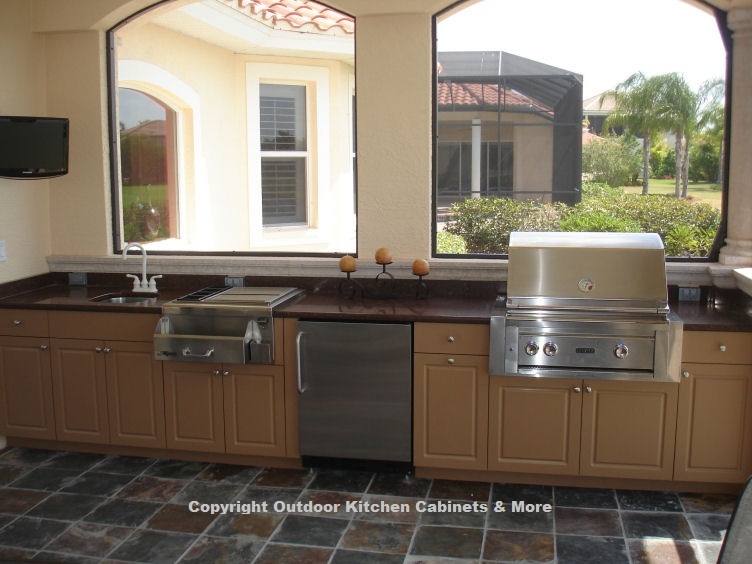 We would love to discuss your new dream Outdoor Kitchen living space. Schedule a consultation online today and we can review your ideas and turn them into reality. Browse past projects we have completed to get some inspiration for your new Outdoor Kitchen project. We have a large gallery of projects that are all our own photos of actual projects we have completed for our customers. What is your dream kitchen idea? Talk to a design specialist. 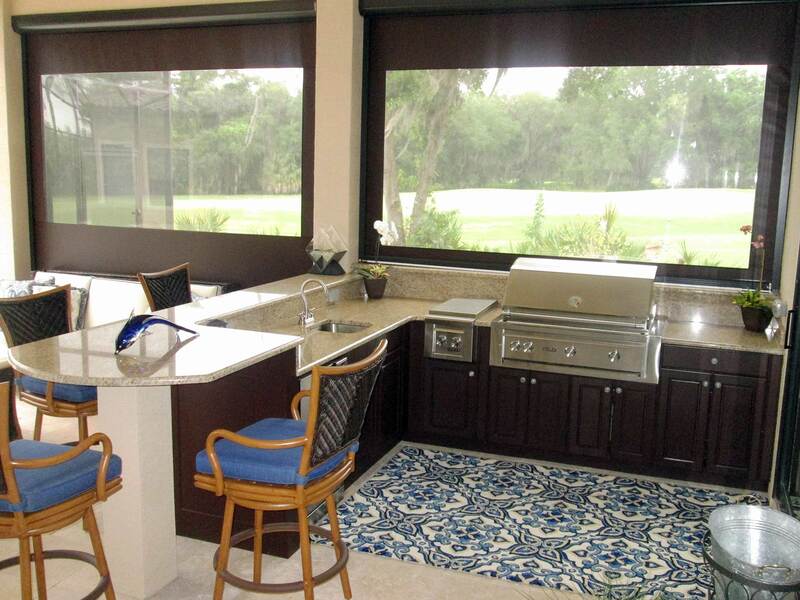 Browse our outdoor kitchen gallery. View our Kitchen Gallery in a thumbnail format.